Quarles & Brady attorneys have handled over 500 appeals in the past 15 years, in reviewing courts across the country, at every level of the state and federal systems, including arguments before the United States Supreme Court. Appeals are a crossroad. Whether a client has been on the winning or losing side in the lower court, facing an appeal requires them to differentiate what’s most important and what can be left behind. For a client who was on the losing side, it’s a time to ask questions such as, “Is it worth appealing? What are the best issues for an appeal, and what’s the likelihood of prevailing? And how long will it take, and how much will it cost?” The client on the winning side will ask many of the same questions. Quarles & Brady’s Appellate Practice Group offers experienced counsel at those crossroads of an appeal. 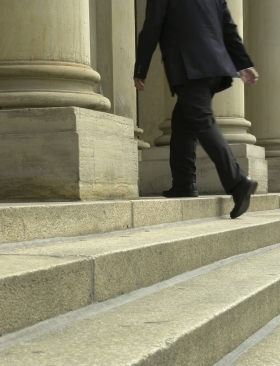 Our appellate lawyers have handled appeals at every level of the state and federal systems. At the outset of the process, they offer a fresh set of eyes on what issues to pursue—or not to pursue. They provide guidance to navigate appellate rules and procedure and on how to best construct briefs, conduct moot courts, and present an effective oral arguments. They work closely with trial counsel in virtually any area of practice involving litigation and do so in reviewing courts across the country. Our Appellate Practice Group serves most any client involved in litigation of any sort, whether in state or federal court or before an administrative tribunal. 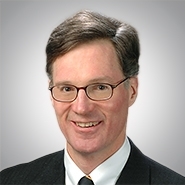 In recent years, we have represented clients in, among other matters, appeals relating to bankruptcy and secured lending, contract disputes between businesses, employment and labor law, environmental law, federal taxation, intellectual property, product liability, and trusts & estates. Our experience is national, with particular depth in the courts of Arizona, Illinois, and Wisconsin as well as the Seventh and Ninth Circuits. Our resources include 23 attorneys who have clerked for appellate judges at the federal and state level. Our appellate lawyers have extensive experience in negotiating settlements when a case reaches the appeals stage. They also counsel clients in preparing amicus briefs and conducting moot courts, and they also stand ready to provide “second opinions” as to the merits of pursuing an appeal.